Above: Sharkstooth Trail, August 27, 2018 and Bolam Pass Road, June 8, 2016. 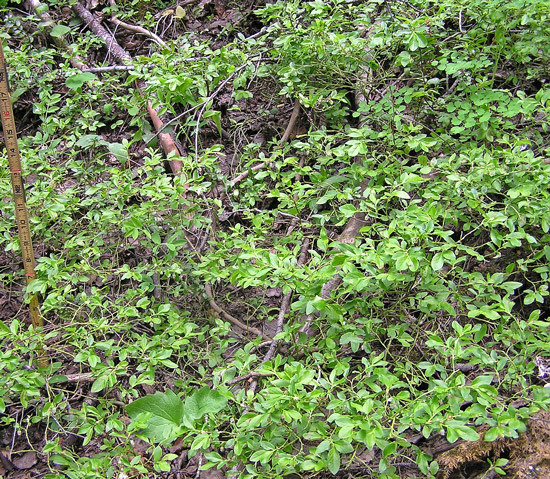 Left: Horse Creek Trail, June 7, 2004. 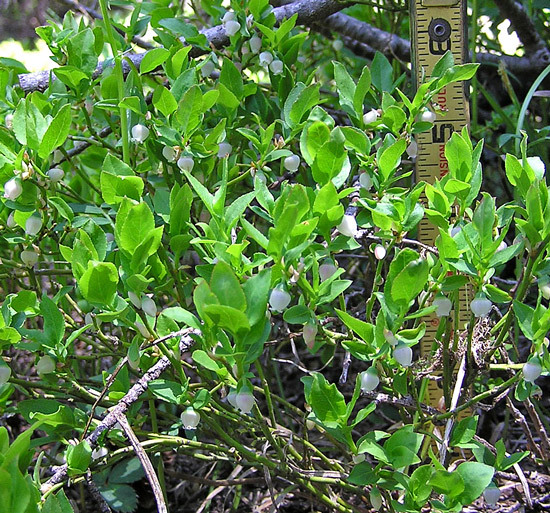 The San Juan Mountains of Colorado, and nearby mountains in the other Four Corners states, have several species of Vaccinium, but Vaccinium myrtillus is by far the most common and is also one of the most common plants throughout these mountains. 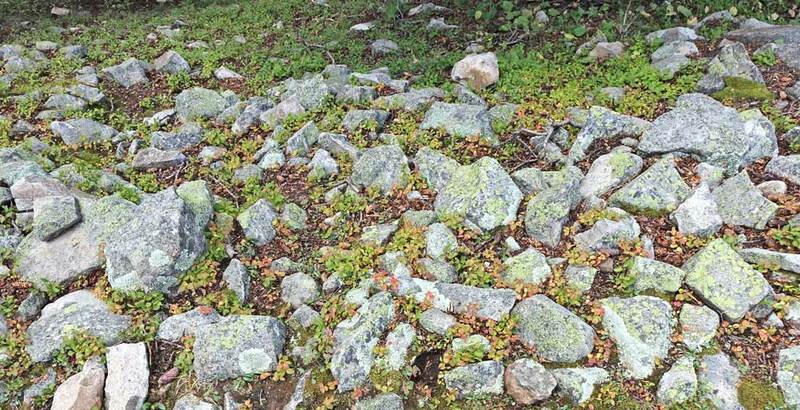 It is especially abundant underneath Spruce where it often carpets the acidic ground in a soft pattern of small, green leaves. 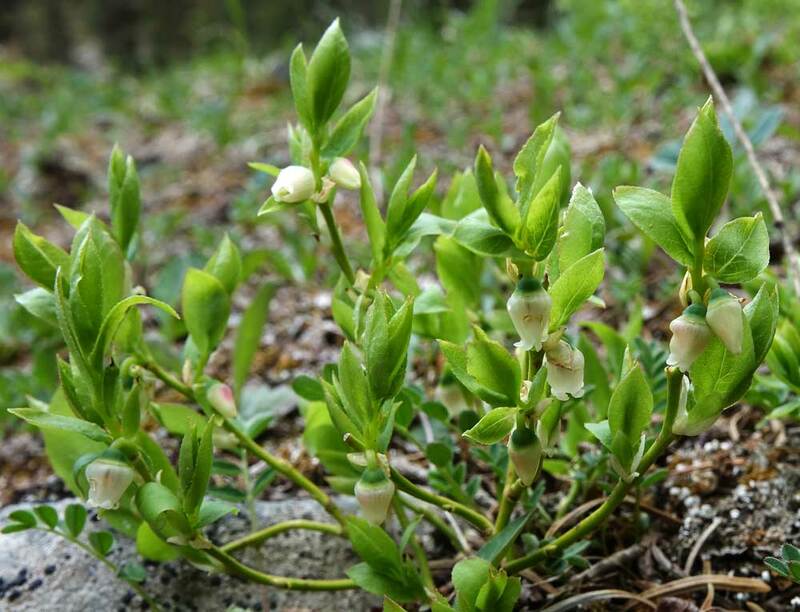 Unfortunately Vaccinium myrtillus produces few of its tiny, white-to-pink, bell flowers and therefore often has no fruit. But when the fruit is there, it is luscious. Linnaeus named this species and genus in 1753. 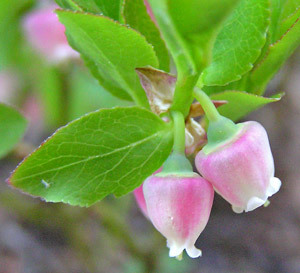 "Vaccinium" is from the Latin for "cows" (as in "vaccine") and "myrtillus" means "myrtle-like". Upper West Mancos Trail, October 1, 2010. 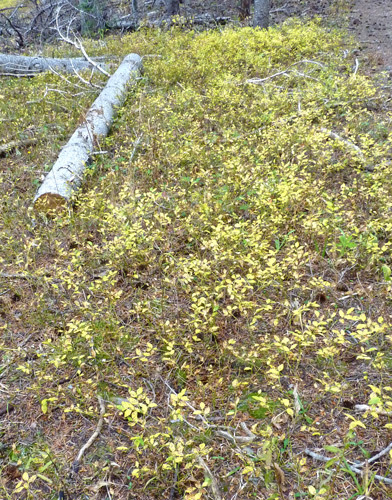 Fall color of Vaccinium myrtillus is often yellow but shades of maroon are common.